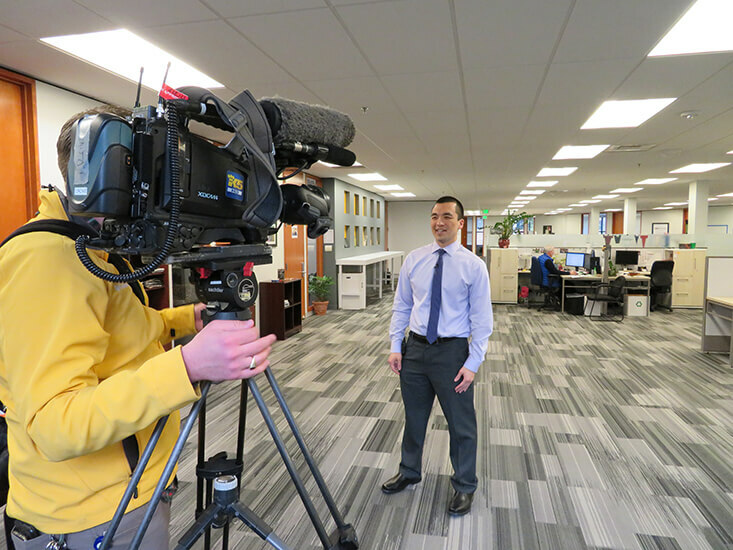 On March 12, KING 5 featured CSF advisor Michael Liptrap in a NBC channel 5/105 news segment focusing on the recently uncovered college admissions scheme. In the news segment, which broadcast in the Seattle-Tacoma area, Michael discussed the disparity between wealthy and low-income students and how CSF helps low-income students earn the chance to go to college. “Every student should be treated equally and have equal opportunity to strive for their goals,” he said. A CSF Alumnus, Michael graduated from UW Tacoma in 2009 with a bachelor of arts in interdisciplinary arts and sciences. For the last five years, he has worked in student support at CSF helping high school students with college prep and awareness. He is currently pursuing his master’s degree in nonprofit leadership at Seattle University. Watch and read the news story on KING 5.